AJ Field Developments Ltd has been offering many years of fantastic service to our clients, having formed in 2001. We are proud of what we have to offer, from working on domestic projects such as extensions, insurance re-builds and barn conversions to larger commercial ones such as office refurbishments and new buildings and strive to give you the best experience and result possible. Operating throughout Cheshire, Shropshire and Saffordshire we look forward to sharing our award-winning service with you. 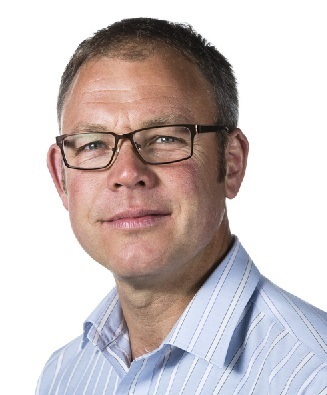 As the Managing Director of A J Field Developments Ltd, Jim uses his 20 plus years of experience and knowledge of the construction industry to give the best service possible. He is always on hand to offer support and advice throughout the whole project, from planning to completion. Following successful completion of his Construction Management degree course at the University of the West of England, Jim went on to work for and with many highly regarded multi-national companies in the United Kingdom on several multi million pound projects. This naturally led him into setting up AJ Field Developments Ltd where he could use his expertise and skills best. Jim takes a fierce pride in his work and sets high standards for himself and the company. This enables AJ Field Developments Ltd to offer an unrivalled service to clients and give the best customer focus possible. Jim is perhaps most proud of the word of mouth reputation the company has which results from working with our fantastic clients in the past and present to give their project the desired outcome. He hopes to build on this and continue to lead AJ Field Developments Ltd into even higher levels of excellence in the future. 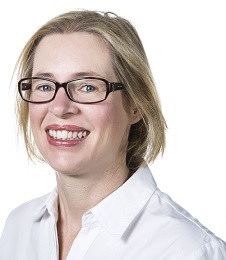 Ailis plays a pivotal role in the running of AJ Field Developments Ltd as Co-Director and Company Secretary. With extensive knowledge and experience within the industry, she plays a vital role in dealing with customer queries and managing the day to day running of the office. After completing her degree course in Construction Management at the University of the West of England, Ailis spent many years working within the Building and Civil Engineering sector of the industry. Eventually this led her to deciding to set up AJ Field Developments with husband Jim where they could both use their specific skills to maximum effect. Ailis has a determination to offer the very best to clients in terms of service and outcome which shows in her customer focused approach to work. Ailis’s many years of experience make her best placed to manage the business side of the company and provide technical back-up. Along with Managing Director Jim, she plans to continue to offer a superb customer experience to help AJ Field Developments Ltd grow further into the future. "As an Architects practice, we are always seeking good building contractors. It is rare to find such a personable building contractor who is also highly professional. Our project involved the refurbishment and alteration of a residential property, which was a Grade 2 listed building. Our aim was to provide a luxurious open plan living space with crisp, modern finishes set within the traditional Victorian Gothic style former school house. This aim was definitely achieved and was made much easier by working with a building contractor such as AJ Field Developments." "It was clear that attention to detail and the clients' best interests where always at the forefront. Any site issues were brought to our attention promptly and dealt with professionally, which lead to a highly successful project and an extremely satisfied client. We look forward to working with AJ Field Developments again in the near future." AJ Field Developments Ltd is extremely proud to be members of the prestigious Federation of Master Builders. This organisation is the UK’s largest trade association and promotes high quality workmanship among small and medium sized construction companies. Having been members since 2003, we have recently been officially recognised by the FMB for our excellence. We were honoured to be awarded as the Regional Winner in the 2017 Master Builder of the Year competition in the Small Renovation Category. As part of the membership criteria of the Federation of Master Builders, members undergo rigorous scrutiny and checks of their projects. The inspections are carried out by independent body British Board of Agrement. The inspection report concluded; "Extremely high quality 'Bespoke' design and build extension. Exceptional quality of workmanship, fittings and finishes were observed. Customer delighted with the quality of workmanship and service from this contractor, has already recommended to others." FMB Membership executive David Scargill commented; "I’d like to congratulate you on such a positive report that clearly highlights your ability as ‘Master Builders’ to produce very high standards of work." We are delighted to have been awarded accreditation from Alcumus SafeContractor for achieving excellence in health and safety in the workplace. Alcumus SafeContractor is a leading third party accreditation scheme which recognises extremely rigorous standards in health and safety management amongst contractors. It is used by thousands of organisations in the UK including SMEs and FTSE 100 companies. A J Field's application for SafeContractor accreditation was driven by the need for a uniform standard across the business. SafeContractor accreditation will enhance our ability to win new contracts and our commitment to safety. 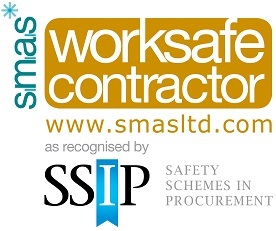 We are pleased to have gained a SMAS Worksafe certificate (www.smasltd.com). This means that we have met the SSIP core criteria recognised by the HSE and other SSIP accreditation schemes. Meeting the SSIP Core Criteria demonstrates that we are serious about Health and Safety and have (and use) an effective Health and Safety Management System to ensure that any work we are engaged in is, so far as reasonably practical, carried out without risk to health and safety. As a principle contractor we have also successfully demonstrated that we plan, manage and monitor the constrution and coordination of matters relating to health and safety.